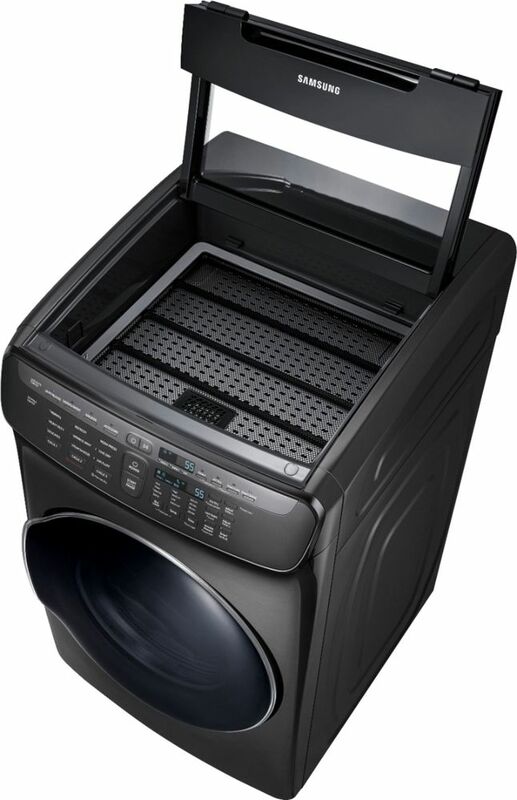 FlexDry™ Two dryers in one give you the flexibility to dry delicates and everyday garments at the same time. Delicate Dryer Flat dry delicates, sweaters, and accessories to prevent shrinkage and fabric damage. Multi-Steam Technology Steam away wrinkles, odors, bacteria, and static. Vent Sensor - Detects duct blockages and reminds you to clean your vent. Wi-Fi Connectivity - Remotely monitor the remaining cycle time and receive alerts when the cycle is complete. Eco Dry - Uses up to 25% less energy for every load. 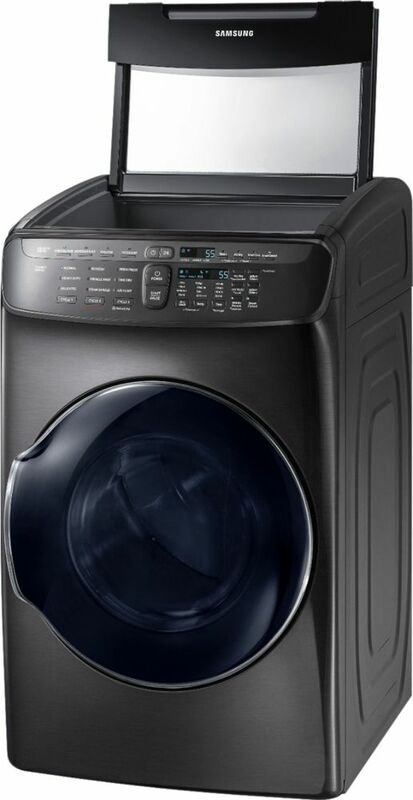 Sensor Dry - Optimizes the time and temperature to dry clothes thoroughly, avoiding heat damage. Smart Care - Troubleshoot straight from your smartphone. Drying Rack on Upper Dryer - Flat dry to keep your items in the optimal shape. Integrated Touch Controls - Stunningly sleek, contemporary design for the perfect blend of form and function. Stainless Steel Drum - More durable and prevents scratches or nicks from metal zippers. 9+4 Preset Dry Cycles - Cover almost any drying need for your active family. 11+6 Options - Add the best option to your Dry Cycle to get more out of each load. 4 Temperature Settings - Various heat settings for all your drying needs. Interior Drum Light - Put an end to stray socks or smaller laundry items. 7.5 cu. 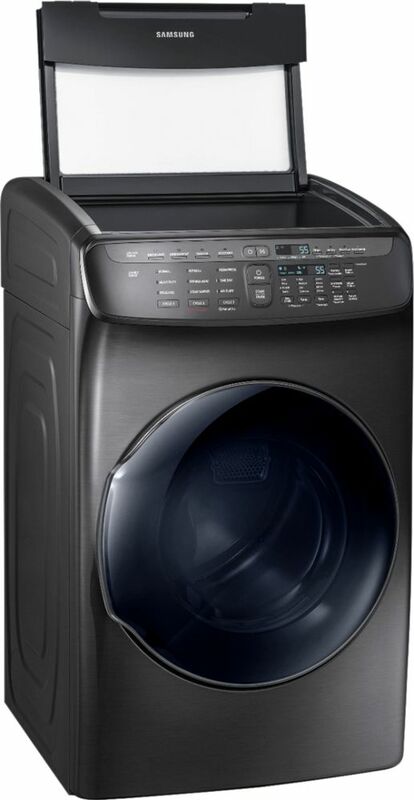 ft. Capacity - Fewer loads, less time in the laundry room, and more time for you. Easy-to-read, distinctive Ice Blue LED Display.